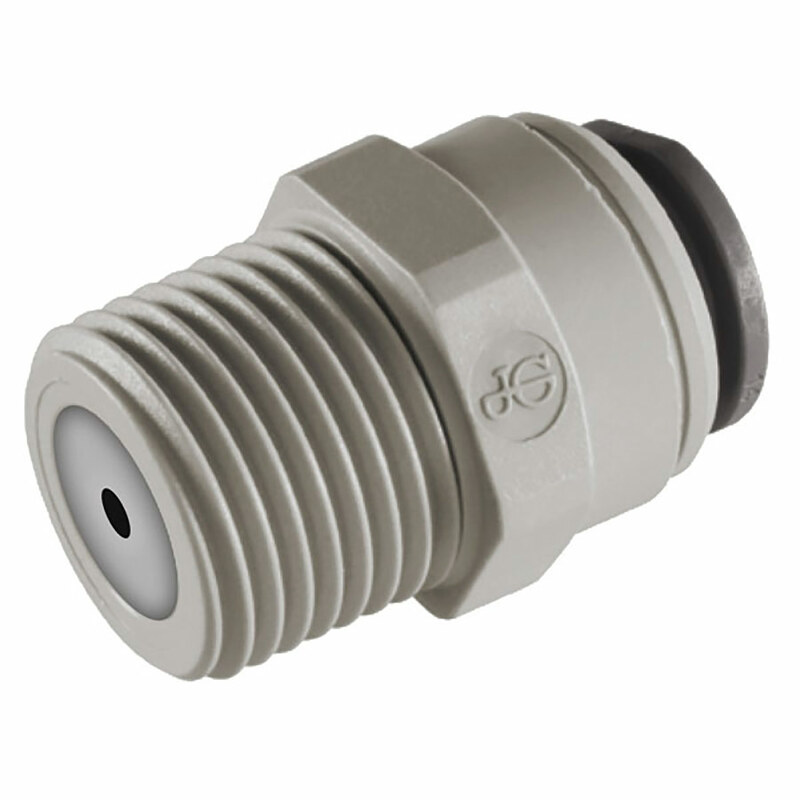 This John Guest flow restrictor fitting is installed in Everpure QL2 or QL3 Heads on the outlet port to increase, the flow from .5 GPM to 1 GPM. Fitting can also can be used for other applications where 1 GPM Flow is needed. The fitting accepts 1/4" OD Plastic of Copper Tubes and has 3/8" MPT.